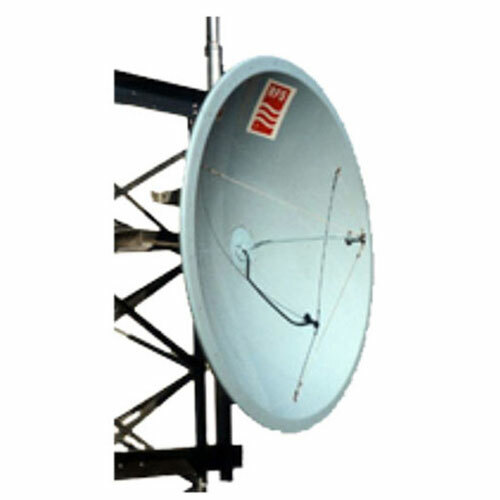 RFS Microwave Antennas are designed for microwave systems in all common frequency ranges from 4 GHz to 24 GHz. Different options of survival windspeeds are available. This allows the use of antennas in areas where extreme wind conditions are normal. The antennas utilise a conventional feed system and are available in three performance classes offering complete flexibility when designing a network.Standard Performance antennas are economical solutions for systems where side lobe suppression is of less importance. These antennas are required for use in networks where there is a low interference potential. Antennas are available in 2 ft (0.6m) to 12 ft (3.7m) diameters. Antennas from 4ft up to 12 ft (3.7m) can be equipped with a moulded radome to reduce wind load and to protect the feed against the accumulation of ice and snow.